Q: What is Celtic FC Foundation? A: Celtic FC Foundation upholds and promotes the charitable principles and heritage of Celtic Football Club. In doing so, Celtic FC Foundation delivers change and purpose to the Celtic Family and beyond. The social principles, key priorities, aims and objectives of Celtic Charity Fund (established in 1995) and the Celtic Foundation (established in 2006) were so clearly aligned, it was agreed that the natural progression was for both units to become a new, stronger Scottish Charity with a wider role and greater reach. This new entity, Celtic FC Foundation is a registered charity in Scotland (number SC024648) with its registered office at Celtic Park, Glasgow, G40 3RE. Q: What are Celtic FC Foundation’s Priority Issues? Health Ensuring people lead active and healthy lives and eat nutritious food whether they are at school, work or home is a priority to us. Alleviating alcohol/drug abuse, making life easier for those who suffer mental health issues and working with the community through health professionals to mitigate instances of obesity are particular focus areas for us. Equality We ensure that all members of society, irrespective of race, creed or colour, are given equal chance, in line with the club’s own values. The club is open to all and we actively campaign to promote social inclusion and to end discrimination on grounds of race and religious belief. Learning Education is a key factor in enabling our society to move forward and integrate into an ever-evolving culture. Our ability to deliver education to those in need can range from; Celtic Learning Centre sessions, assisted learning, scholarships, providing musical instruments, digital learning, adult learning and life management. These provisions are not exhaustive and allow us to continue to help build a confident and self-sufficient community. Poverty is a blight on society and we believe that by tackling the symptoms of poverty collectively, people’s lives will continue to improve. Homelessness is an affect of poverty, however, the causes of poverty are wide and varied. We work in partnership with others and offer our services on employability, managing money, tackling addiction, re-engaging offenders and creating opportunity through education and training. Q: Who does Celtic FC Foundation help? A: We are an organisation here for all, regardless of gender, age, religion, race, or ability. Our priority is to provide assistance to those who face daily challenges within our key priority areas. In addition we offer support in the form of delivery and/or partnership to external charities and other organisations who offer value in the community and whose principles fit within these key priority areas. Q: What type of project delivery is Celtic FC Foundation involved in? A: We have a strong track record of delivering successful community based projects that support health and wellbeing (Health), employability (Poverty), inclusion (Equality), education and diversionary activities (Learning). We work with all age groups from young children through to older people and currently deliver projects locally, nationally and internationally. We work with a variety of partners to deliver our projects. Q: Where does Celtic FC Foundation work? A: Our priority focus will support areas based on the need surrounding our home within the city of Glasgow in the first instance. However, each project will be assessed on a case-by-case basis and we will always focus our attention where our efforts are best served, primarily supporting the geographical areas listed above. Q: How much has been raised to date? A: Since inception we have raised in excess of £19.5m. Q: How is the money raised? A: We raise money in a variety of ways. In addition to fundraising, we also raise money by applying to a variety of grant making trusts and funders who support our project delivery. Q: Does the Football Club make money out of Celtic FC Foundation events or projects? A: Absolutely not. We are a registered charity in our own right (SC024648) and the proceeds of all monies raised and awarded support our charitable activities. 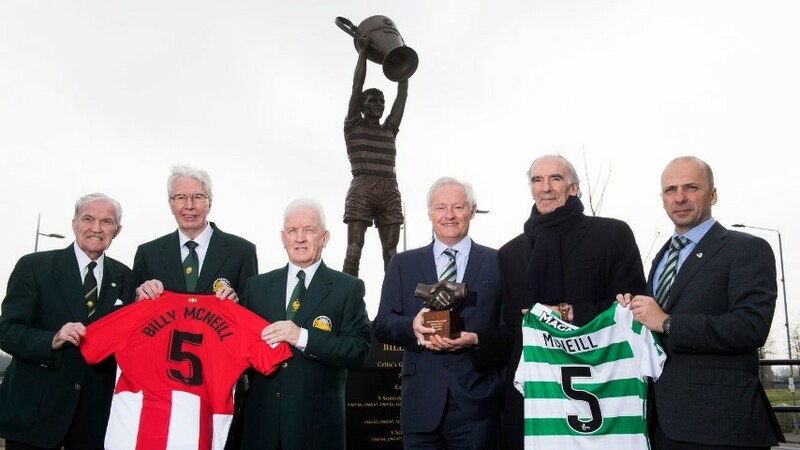 Celtic Football Club generously support the efforts of Celtic FC Foundation financially and in kind. Q: Does Celtic FC Foundation donate raffle items - signed tops - footballs or donate non-monetary items to charities? A: No. Celtic Football Club's PR Department deals with all requests for these items. Q: Where do Celtic FC Youth teams play their home games? A: Celtic Youth teams play their home games at the Academy training ground at Barrowfield or the Academy training centre at Lennoxtown. Q: How much does it cost to watch the Celtic FC Youth teams? A: Under 11s to Under 17s participate in the Scottish FA Youth Initiative programme at Performance level and these games are free to attend. Under 20s play in the Clydesdale Bank Under 20 league and these games are also free to attend. Q: Where can I find the fixtures and results for the Youth teams? A: Fixtures can be found via the team section on the website. Results for games from Under 17 down to Under 11s are not recorded. This is part of the terms of reference issued by the Scottish Football Association Youth Initiative committee. Under 20 fixtures and results can be found here. Q: How can I get into a professional club's Academy? A: There is no easy route to becoming a footballer. The first step is to get involved with a team playing in good quality competition. For schoolboys, this would not only mean being in the school team, but also representing youth teams in your Town, Local Authority, and even Country. Playing with other top quality boys can only help develop your potential. 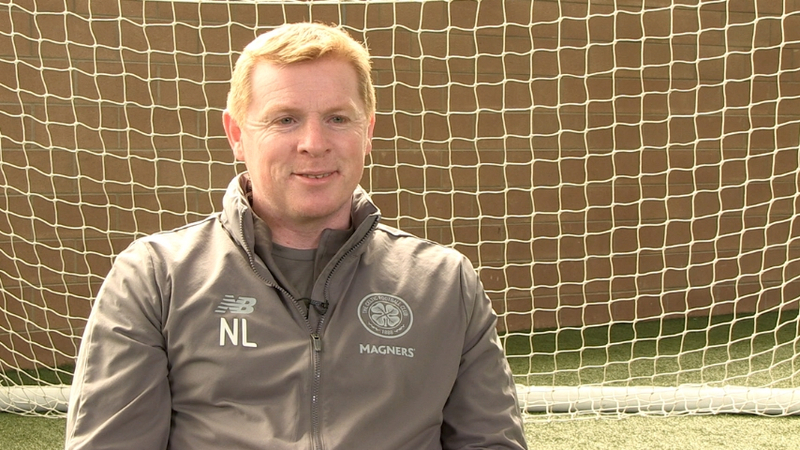 Q: How can I get a trial at Celtic's Academy? We have a vast network of scouts in the UK and around the world, and if interested may send a scout to watch you play. Q: What are the terms and conditions of use for Celtic TV Online, Celtic TV Online+ and Celtic TV Premium? A: Click here to be taken to the terms and conditions page. Q: Which subscription is right for me? A: Celtic TV Online+ or Celtic TV Premium is available outside of the UK & Ireland, this is due to contractual reasons. In order that we can comply fully with these restrictions, we have procedures in place to ensure that only those from outside those areas can use it. If you attempt to connect to a Celtic TV Online+ or Celtic TV Premium stream from within the proscribed areas (we can verify this by the IP address of your computer), you will be denied access to the stream. Q: How do I upgrade my existing subscription? A: To upgrade you must first log in to your account. When you have logged in click on the upgrade button. You will be taken to a page where you can confirm your user details and select your new subscription package. On confirming your details you will be taken through the payment process to complete your upgrade, by starting a new agreement. This process can also be used to downgrade your subscription, if necessary. A: To change your password or to change your details, i.e. name, address, telephone number, email address, please login and click on My Profile. Q: How do I check the speed of my broadband connection? A: There are several websites that will check your connection speed. These will give an indication of the actual speed rather than the 'up to' speed given by some ISPs. ThinkBroadband is a UK website which offers a speed test applet. Q: How can I reduce buffering? A: Once you have logged in go to the Matchday page during a LIVE match. There is a drop down menu to the right hand side of the video player. This will allow you to choose a fixed stream. You should choose the highest one first. If there is no improvement move down to the next stream and so on. It is also important that you do not have any other programs or games running on your computer at the same time. Finally, please ensure you are not using a wireless internet connection. Q: Can I use a different PC to view a match? A: Yes, but you are only allowed to logon to Celtic TV from one PC at a time. Simultaneous logons from different computers can result in suspension of your account with no possibility of a refund. Q: Can I retrieve my forgotten password? A: Yes, if you have forgotten your password please use the link on the login page, or click here. Q: How do I change my card details with WorldPay? A: You can change your credit card details with WorldPay by accessing your account on WorldPay's shopper site, http://www.worldpay.com/shopper/index.php?page=recurring&sub=card&c=WW, using the username and password they sent you when you first subscribed. If you didn’t keep these details there is a Forgotten your Password link on that page. You will need your Agreement ID (you’ll find it on the emails WorldPay send you every month) and your email address. A: You can cancel your subscription by accessing your account on WorldPay's shopper site,http://www.worldpay.com/shopper/index.php?page=recurring&sub=cancel&c=UK, using the username and password they sent you when you first subscribed. If you no longer have these details then send your username for Celtic TV, your Agreement ID from WorldPay and the date you first subscribed to Web Help and we will try to cancel it for you. Q: How can I contact the Celtic TV team? A: You can contact the Celtic TV team by emailing [email protected]. If you are emailing with a problem, please provide as much information as possible, including your username and any screenshots of the problems you've encountered, if possible. Also send details of the steps you've taken and what has happened. Q: I am a recruitment agency or training company and wish to offer our services. Who should I contact? Q: I am looking for a job at Celtic Football Club. How do I go about seeing what vacancies you have available? Q: I would like to do work experience or to do a work placement at Celtic Football Club. Is this possible? A: Celtic offers a rewarding and comprehensive week-long Work Experience programme for school pupils aged 14-15. This provides placements in five different areas of the business during the course of a week. These typically include the Ticket Office, Superstore, Pools, Hospitality and Visitor Centre. Very occasionally we may be able to accommodate pupils on a specific department of their choice, such as Multi Media or Finance. Celtic also receives numerous enquiries about longer-term placements and internships, paid and unpaid. Regrettably, we generally do not have the resources to be able to offer this kind of programme. Q: I have applied for a job but have not heard anything back form you. What is the next step? A: This could be due to the volume of applicants for the job. We try to ensure we respond to all enquiries and applications but in some circumstances only the successful applicants will be contacted. Q: I am seeking donations for a charity or auction. Who should I contact? A: Please write to our Public Relations department. Q: I am a young football player looking for a trial. Who should I contact? Q: I am a student seeking some information about the Club. Who should I contact? A: Please email our Public Relations department, [email protected].or write to them at Celtic Park, Glasgow, G40 3RE. Q: I would like to sponsor Celtic FC. How do I go about this? A: Please email all your requests to our Sponsorship team on [email protected] and we will get in touch with you. 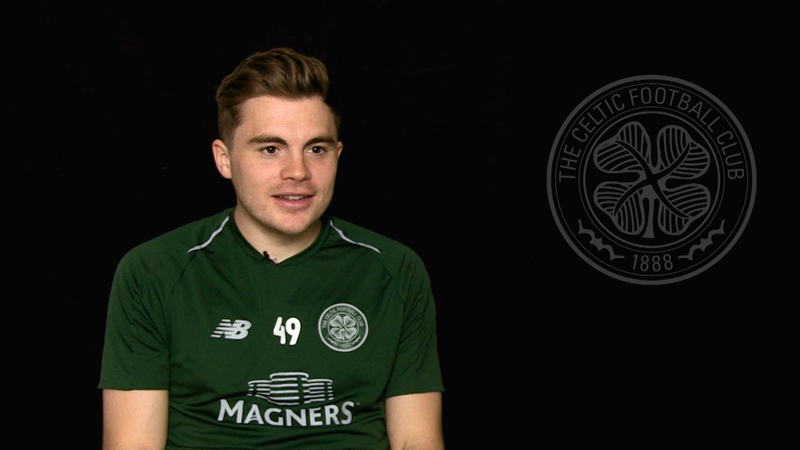 Q: I have a product that I think Celtic would be interested in. who would I need to speak to or get in contact with? A: Please email your request to [email protected] and someone will get in contact with you. Q: I would like Celtic FC to support / sponsor my charity event is this possible? Q: I am a supplier looking to offer my services to support your marketing operations, who should I contact? A: Please email [email protected] and someone will get in contact with you. Q: How do I buy a ticket online? 1. Go to the Celtic website at www.celticfc.net. Click on the Ticket tab. Click the online book link. You will then enter the Celtic FC e-tickets home page. Then choose the game that you wish to purchase tickets for. 2. You will then see the stadium plan. Choose the area where you would like to sit. There is an index on the left hand side which will show you the availability. 3. Once you have chosen the area you will then be asked what price of ticket you wish to purchase and how many. Where applicable it will offer full view and restricted view tickets. 4. Once you have done this you will be taken to a page where it will confirm the game and the amount of tickets you are purchasing. If you want to buy tickets for another match choose the continue shopping link and follow the same instructions as before. Alternatively click on the checkout link. Here you will be given the option to create an account to log in or to log in using details previously created. 5. Once you have logged in you will be taken to the payment page where you complete your credit/debit card details. This page will confirm the ticket price and the booking fee giving you a total price for your booking. You must acknowledge the Terms and Conditions of the sale. Q: I am registered with the online bookings but I am unable to login. What should I do? A: Check firstly that you are using the correct username and password (both case sensitive). If you are still experiencing problems please contact us by email, [email protected]. Q: I am registered with the website but have forgotten my username/e-mail. What can I do? A: If you call us on 0871 226 1888* option 1 then option 2 we can supply you with your login details (please note you will need be asked to confirm all your personal details). Q: What tickets are on sale for which matches? Q: The area of the ground I want to sit in is not available. Why is this? A: Some areas of the ground may already be sold out due to high demand. Some other areas i.e. the Main Stand and Family Stand are not available due to the number of season book holders in these areas. Q: We require more than 10 tickets for a game. Is this possible? A: Under certain circumstances we are able to sell more than 10 tickets to one person. If you require more than 6 tickets please call us on 0871 226 1888* option 1 then option 2 and one of our colleagues on the Ticket Enquiry line will be able to assist. Q: I have purchased tickets via the web but now require additional tickets(s) as close to them as possible. Can I do this? A: If you require tickets close to seats you which you have already purchased, please call us on 0871 226 1888* option 1 then option 2. Q: I have some specific seats I want to purchase but I cannot select them, why can't I buy these seats? A: Our systems automatically select the "best available" seat for a selected area. If you need a specific seat please contact the Ticket Enquiry Line on 0871 226 1888* option 1 then option 2 and one of the operators will be able to assist you. Q: I have been asked for a CV2 number. What is this? Q: I have purchased tickets online but have not received a confirmation e-mail. Does this mean my purchase has not gone through? A: Possibly, please check your e-mail address is correctly registered with us. If this is registered incorrectly no confirmation e-mail will have been sent. If your e-mail address is correctly registered with us please contact 0871 226 1888* option 1 then option 2 and we will check your booking. Q: I have purchased tickets and they have not arrived by post? A: Matchday Saturday/Sunday - All tickets booked after Wednesday afternoon prior to the match will be made available for collection from the ticket office. Matchday Tuesday/Wednesday - All tickets booked after the Thursday prior to the match will be made available for collection from the ticket office. Matchday Thursday - All tickets booked after the Monday prior to the match will be made available for collection from the ticket office. All bookings with a delivery address out with the UK (excluding the Republic of Ireland) will automatically be retained in the ticket office for collection. If you have not received your ticket the day prior to the match, please contact the enquiry line on 0871 226 1888* option 1 then option 2 Please have your booking information ready as you will be asked to confirm various details. Q: I have lost my match tickets, what do I do? A: If you have lost your ticket prior to the match, please contact the enquiry line on 0871 226 1888* option 1 then option 2. An administration fee is applicable for a reprint. Q: I have forgotten my match tickets, what happens? A: If you have forgotten to bring your ticket to the match, please visit the Ticket Office. You will need to bring your booking confirmation and identification as you will be asked to confirm details. An administration fee is applicable for a reprint. Q: How can I get tickets for a disabled supporter? A: If you contact our Ticket Office on r 0871 226 1888* one of our staff will be able to assist you. Q: Can I book tickets and pick them up from the shop? A: No, tickets purchased online will automatically be posted out as per the details on your confirmation email. If you want to arrange to have your tickets collected you have to contact the Ticket Enquiry line on 0871 226 1888* option 1 then option 2 to arrange. A: Restricted view seats are seats where there is a restriction to the view of the goal mouth area on either side of the pitch. On certain seats, there is a discount on the match price when purchasing these seats. Tickets for these seats will always have restricted view printed on them. Q: What happens if the game has to be re-scheduled? A: In most cases the ticket purchased for the original seat will be valid for any re-scheduled match. If you are unsure, please contact the ticket enquiry line on 0871 226 1888* option 1 then option 2. Q: What happens if I cannot make the game after I have purchased the ticket? A: There is no refund policy on returned match tickets. Q: How do I use my ticket at the turnstiles? A: When you walk into the turnstile, please insert the barcode end of the ticket face up into the reader and wait for a green light. Once the green light appears, please walk through the turnstile. Please note there is a time limit on this process. Q: What happens if the turnstile does not open or if there is no light? A: This could be because the ticket was not properly inserted or the ticket did not read. Try again and if it is still not working please make your way to the Ticket Office where the staff will check the ticket for you. Q: What happens if my ticket is presented and a red light shows? A: If this happens, you will need to visit the Ticket Office. Q: Can I remove the stub from the ticket and insert this into the turnstile reader? A: No, this will render your ticket invalid. You will need to leave the stub on the ticket. If the stub has been removed please go straight to the Ticket Office to have your ticket checked. Q: My ticket is damaged what can I do? A: You need to bring the damaged ticket to the Ticket Office where the ticket will be checked. Q: Where can I find the full terms and conditions for purchasing tickets? A: A copy of the Ground Regulations can be found here. Q: Where can I find a stadium plan? (*Calls cost 13 pence per minute, plus your phone company’s access charge.). Q: When can I expect to receive my tickets? A: Hospitality tickets are normally dispatched 1 week prior to the game. This may sometimes be earlier dependent on the time of booking or local/Bank holidays. Q: Is car parking included? A: Car parking is included for Corporate Hospitality and a day permit is included with your tickets. It is strictly 1 permit for every 4 guests. Premium hospitality does not include car parking however, there is a car park situated close to the East stand which is served on a first come first served basis. Car parks close strictly 1 hour prior to kick off and may close earlier if instructed to do so by the match commander. A: All premium and corporate areas have a dress code and these details will be sent with your match tickets. Dress codes can vary from smart casual to lounge suit. Please ensure that you have the correct dress code on arrival to gain access to the hospitality areas. Dress codes do not apply to under 16's. A: Premium lounges open at 11am for and early KO, 12.30pm for a 3pm KO and 5.30pm for an evening fixture. Timings for the hospitality areas can be found inside the ticket wallet sent out in advance of the match. All suites, restaurants and lounges close 1 hour after full time. Drinks will be served until 15 minutes prior to KO. Q: Will tickets be valid if the match is cancelled/postponed and do we offer a refund in such instances? A: Matchday tickets will be valid for the re-scheduled date. If this date is not suitable we will look to accommodate your request for another match subject to availability. A: All premium seating prices quoted are inclusive of VAT. VAT is additional to prices quoted within Corporate areas. A: Special events are organised by Celtic Park Events and include: Christmas Party Nights, Mother’s/ Father’s lunches and our Curry Comedy Night. Q: How do I find out about them? A: Please visit www.celticfc.et/event/upcoming for all our upcoming events. Q: How can I book for Special Events? A: Places can be booked over the phone on 0871 226 1888*, option 4 or at the stadium in person. Payment can be made by cash or credit/debit card. Q: What if I have a special request at an event? A: We will do our best to accommodate all your special requests. Let us know in advance of the event and we will ensure to do our best. Q: Do you have any function rooms at Celtic Park? A: With executive boxes overlooking the pitch, bespoke suites and spacious lounges, whether you are hosting a meeting for 2, dinner for 600 we can tailor a bespoke package whilst maximising your budget. Q: What is the largest number of delegates you can accommodate? A: The capacity depends on the room and the layout. Contact the sales team on 0141 551 4405 for more information. Q: Can you host events on Match Days? A: It may be possible to host events on matchdays depending on event requirements and match kick off time. Q: What time does your liquor license extend to? A: The liquor license extends to 0100 hours. Q: What are the directions to the stadium? Q: What times are the restaurant open? A:On Saturday the Number 7 restaurant opens from 12pm with bookings taken every 30 minutes, the last booking time is 7.30pm and the restaurant closes at 11pm. If there is a home game on the restaurant opens slightly later at 7.30pm. On Sunday the Number 7 restaurant opens from 12pm with bookings taken every 30 minutes, the last booking time is 4.30pm and the restaurant closes at 7pm. Please note that unfortunately if there is a home game on the restaurant is closed on Sundays. Q: How do I book a table? A: Bookings can be placed by phone or in person (please note that our office is open 9am-5pm, Monday-Friday). To reserve a table in the Number 7 restaurant a £5 per adult non-refundable deposit is payable at the time of booking. We cannot offer a provisional reservation, therefore if deposit payment is not made no booking will be made for your party. Q: Is there wheelchair access to the restaurant? A: Yes, there is a lift from the No7 entrance to the restaurant itself and there are two disabled toilets in the restaurant. Q: What kind of card payment do you accept? A: We accept any type of card payment, including AMEX and Visa Electron. Q: Do I have to be out by a certain time? A: Please note we would kindly ask for your table to be returned 2 hours after your arrival time. A: Yes, a children's menu is available at £5.00 and is for children aged 12 and under. Q: Is the restaurant open on home match days? A: On Saturdays, the restaurant is open after the match, from 7.30pm onwards and is closed on Sundays if there is a home match. Q: Can I combine a tour and a meal? A: Yes, this is possible on a Saturday & Sunday (not available if there is a home game). We have a tour & dine package available which combines the 1 hour stadium tour and a 3 course carvery in the restaurant. We advise taking the tour first and then having your meal in the restaurant after. Q: Can I purchase a gift voucher for the restaurant? A: Yes, call 0871 226 1888* option 4 and we can issue gift voucher(s). Q: I have placed an online booking but I have not received confirmation? A: Your booking is completed immediately and confirmed at the same time. Occasionally due to technical difficulties, or browser settings, the booking may fail. In this instance please call us on 0871 226 1888*. Q: I have booked and confirmed but I have not received my tickets? A: We do not post out tickets for the stadium tour. You only need to bring along a copy of your e-mail confirmation with you. A: The stadium tour lasts approx. 60 minutes. Q: Do we have to book in advance? A: Yes we advise booking in advance to guarantee a place on the tour. Full pre-payment is due at the time of booking a stadium tour. Q: What times are the Stadium Tours? A: Monday-Friday tours take place at 11am and 1.30pm. On Saturday tours take place every 30 minutes from 10am until 6pm. On Sunday tours take place every 30 minutes from 10am and 3.30pm. If there is a home game at the weekend with a 3pm kick off then the tours will take place at 9.30am, 10am, 10.30am and 11am. If the kick-off is earlier than 3pm then there will be no stadium tours on that day. Q: Where do I go to join the tour? A: The entrance to the tour is situated to the left of the Main Entrance to the Stadium. Q: Do you take group bookings? Are there discounts for group bookings? A: Yes, for group bookings please contact us on 0871 226 1888* (option 4). Q: Is there anywhere to leave luggage or bags? A: Sadly not. Due to the high level of security that we operate at Celtic Football club we are not in a position to look after any luggage. Q: Is there anywhere for us to eat within the stadium? A: Yes, on Saturday and Sunday’s you can combine a tour and a meal in our restaurant as part of our Tour & Dine package. We also have our Tours Café which you will be directed to when you arrive to the stadium. Located in the Jock Stein Lounge which overlooks the Celtic Way, there is an opportunity to purchase food and beverages within this lounge as well as enjoy a Celtic FC DVD and your first look at some of the club memorabilia. Q: I am disabled. Will I be able to go on a Stadium Tour at Celtic Park? A: Yes. Celtic Football Club pride ourselves on welcoming people of all different backgrounds and ability. It is advisable to contact us before your tour so we can make arrangements if required. Q: Am I able to take young children on the tour? A: Yes. children are welcome on the stadium tour. Q: I have a voucher, can I prebook? A: Yes we advise booking in advance to guarantee a place on the tour. When you are booking the stadium tour using a voucher we will require the code on the voucher to make the booking.